Among the staff who returned for Rockhill School's 40th anniversary celebration were Jane Patterson, Shirley Weimer, Alexander Nash and Helen Inderwish. Photo courtesy of the Alliance Review. Rockhill Elementary School was dedicated on May 5 1957 at a ceremony in the new gymnasium. The new building was designed and built to serve an area of Alliance that was still being developed. However, construction was not quite completed when the school opened that previous fall. One former teacher described the new school as a building without blackboards, textbooks, a playground and, for a while, without all of the building, because the gymnasium was not yet completed. William Hunter, the first principal, recalled serving that first year as both principal and construction supervisor. The Rockhill School PTO sponsored a 25th anniversary celebration in May of 1982 and another on its 40th anniversary in 1997. 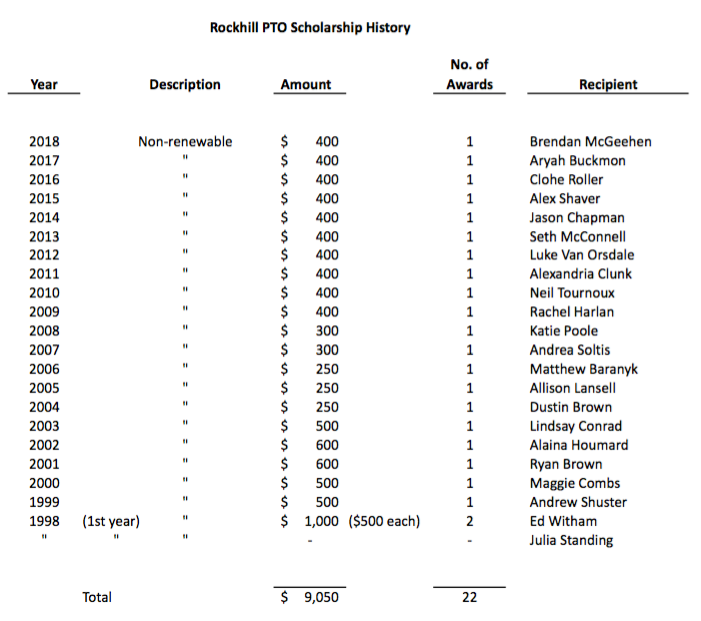 It was during the 40th celebration, while Rae Ellen Dale was serving as principal, that the PTO announced the establishment of a PTO scholarship to be awarded annually to AHS graduating seniors who were former students at Rockhill Elementary School. The scholarship fund is administrated by the AHS Foundation and recipients are chosen by the Rockhill PTO. In 2003, the 1957 Rockhill School structure was replaced in its entirety along with other schools in the district as part of a $60 million construction and renovation project funded by the Ohio Facilities Commission and the community. Sources: The Alliance Review May 21, 1982 and April 22, 1997.